I feel very lucky when got a very brief first hands-on encounter with Samsung Galaxy S III (currently the hottest Android phone in the market) when I was asked by its owner if I could install some apps to it, to which I am very much willing to comply. Being a geek (only a little) indeed has benefits! Hehe! 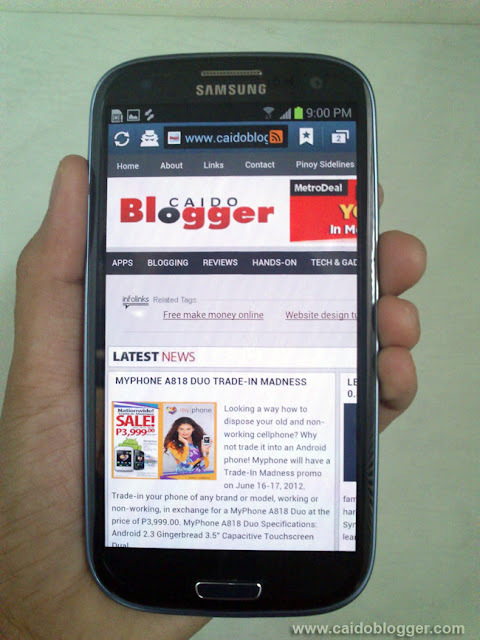 Samsung Galaxy S III was launched here in the Philippines just this May 2012, so I am very happy that I had a chance, even in a very brief amount of time, to have laid my hands on it and check out what makes it really hot. Ok, my first impression was: "W.O.W! 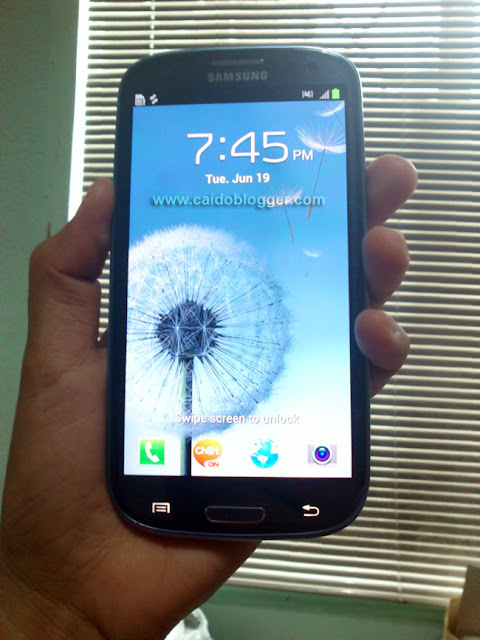 Samsung Galaxy S III!!!" (almost same reaction when I received the iPad 2 that I have won from a promo!). Not only was I've been awed by its big size (the biggest Android smartphone that I have held so far) but simply because it a Galaxy S III! Some of its features that I like are: latest Android OS version 4.0.4 (Ice Cream Sandwich), 8MP camera, awesome 4.8 HD Super AMOLED display and 1.4 GHz quad-core. There's a lot more to discover but I have only limited time. Anyway, I will write a mini-review on my next post.